Writing a great design brief – better value all round! That said, it could be argued that the above approach seems to weigh in favour of the design company rather than the client – at which point I’d refer you to who it is that wrote the article! There are quite a few questions a good designer would ask you before even starting to move the mouse. Here are five essential questions you should ask yourself when preparing a brief to give to your chosen designer. What do you want your new piece of collateral to do? It might be that you want someone to go and buy a product directly from your website, and you’ll know nothing about it until the order processing email plops into your inbox. Or you may want the end recipient to pick up the phone and start a conversation with you. Maybe you want people to be aware of your brand so when they need to make a purchase of a rarely-required item it’s you they remember. Or maybe a combination of reasons – but defining the terms of success will help you to measure the item’s effectiveness when it’s out there. One of the more interesting challenges when a designer proposes a piece of work is that the client doesn’t see the appeal of the visual. Now, as the person paying the invoice your opinion is always sought and valued – but the client may not be the person the piece is targeting! Maybe we’re trying to appeal to a considerably younger or older audience, or a specific type of person. If that isn’t you, then we’re always pleased when you like the design but that may not be the most important factor! Try looking at it from the perspective of the target audience. What is the core value of your business that you want to get across in the design? From visual styling to tone-of-voice in the copywriting, the design should reflect and amplify the the values you want to engender in the minds of your clients. Knowing those values before we begin can save a lot of time and get to the goal much quicker! We don’t want to plagiarise, or copy them, but seeing what your competitors are doing (and doing both well and less so) helps us to understand how we can help your clients get what they want from the collateral. Do you have a budget set aside for this? A sensitive question, and really comes down to trust in the person you have a design relationship with! It’s no real surprise that the buyer/seller dance generally has both sides keeping their cards close to their chest, not wanting to reveal their hand too early for fear of not getting the bargain they want. However, buying good design is not the same as buying a box of nails! The nails went through the same process in being produced regardless of who the end user was, there is a pretty fixed cost of sale and you can negotiate that way and this until you arrive at a (hopefully win-win!) solution. The problem with trying to buy the bare minimum amount of studio time to create collateral you are most likely going to get what you are negotiating for – but it might not be what you actually want! Marketing collateral shouldn’t really be viewed as a grudge purchase, but instead with an ROI factor in mind – done well it can be the crucial difference between hitting or missing your sales targets. If you have a good relationship with your designer, and can be honest about your available budget, then the studio time can be budgeted and spent on the most cost-effective areas. That doesn’t mean “take the budget and quote 5% less so the client thinks they are getting a deal”, but it does mean that you can build thinking time in to a job – and that can make all the difference in the effectiveness of the end result. So there you have it – five questions which help you put together a well-thought-out design brief. And the clearer you are to begin with, the less studio time (and therefore money!) your designer will spend understanding your requirement in the first place – getting straight to the good stuff! 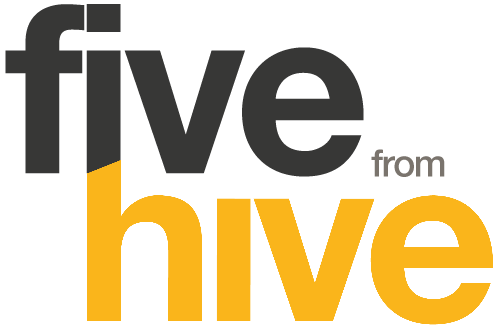 If you need any help understanding what you’re actually asking for, give us a call at Hive on 01908 521269 or email david@hivecreative.co.uk.